Safer and better-smelling mosquito repellents are coming, thanks to research carried out in California. People wage a constant war against mosquitoes in some parts of the world, with the blood-sucking insects responsible for the spread of a range of serious diseases that can infect both humans and horses, including Eastern equine Encephalitis and West Nile Virus. The single biggest mosquitoe-borne threat to humans is Malaria, with more than a million deaths still reported annually. The key to identifying new potential agents for repelling moquitoes came down to figuring out what their nose detects. “The mosquito has an incredibly sensitive nose,” explains Anandasankar Ray, professor in the Entomology Department at the Uuniversity of California Riverside and director of the Center for Disease Vector Research. He has spent much of the past decade learning how mosquitoes detect scents. When we exhale, we emit carbon dioxide. 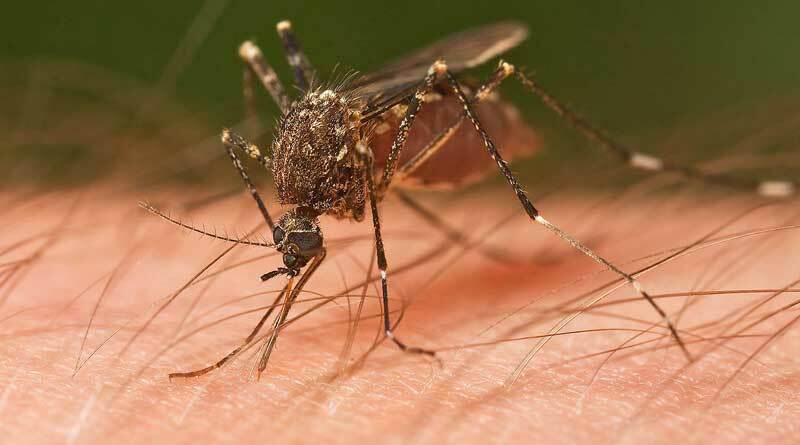 Mosquitoes have super-sensitive carbon dioxide sniffers, and follow plumes of gas knowing that a tasty source of blood is waiting at the other end. The simplest way to keep mosquitoes from finding you is to confuse them by jamming their scent radar. Most mosquito repellant on the market today contains a compound called DEET, the go-to agent since the 1950s. It works well, but why it works has long been a mystery. DEET can also melt your swim trunks, cause a variety of negative reactions and is too expensive to be of true value in parts of the world where malaria and other mosquito-borne illnesses are a serious problem. “It turns out that DEET is incredibly complex, or rather, understanding how mosquitos detect DEET has been a big challenge,” Ray says. His laboratory started trying to understand exactly how mosquitos detect DEET. First, they found a receptor in the antennae shared widely among insects that can detect DEET. Once they had located the receptor, they were able to rapidly screen chemical databases for safer and better-smelling alternatives that would work in the same way. Many of these chemicals come from fruits and plants and are already known to be safe for human use — and, as a side benefit, many of them naturally smell fantastic. Instead of a harsh medicinal aroma, repellents of the future could smell like sandalwood or sweet orange blossom. For Ray, this is about something much bigger than giving people an annoyance-free picnic. “Nearly a billion people worldwide are affected by mosquito-borne diseases,” he says. The research was partially supported by two grants from the National Institutes of Health’s National Institute of Allergy and Infectious Diseases, a grant from the National Institute of Neurological Disorders and Stroke, and internal funding from the University of California Riverside.